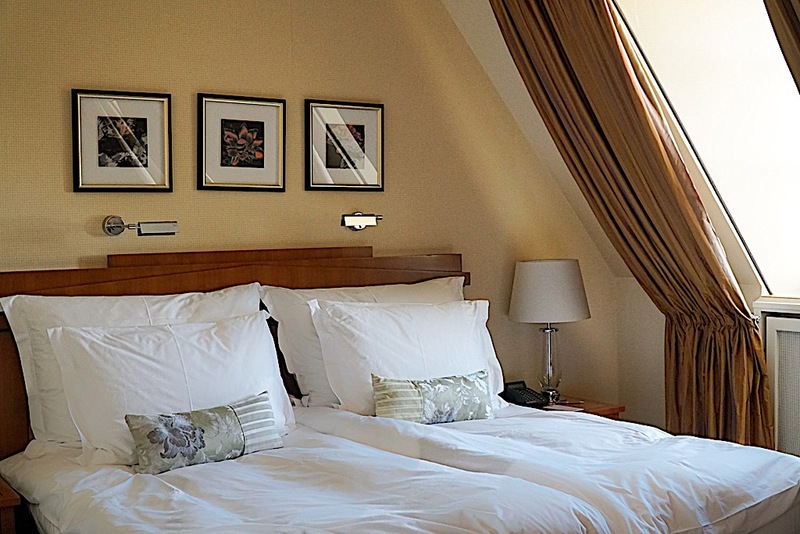 In the heart of Old Town lies a luxury retreat, minimal in signage, but maximum in luxury and service. 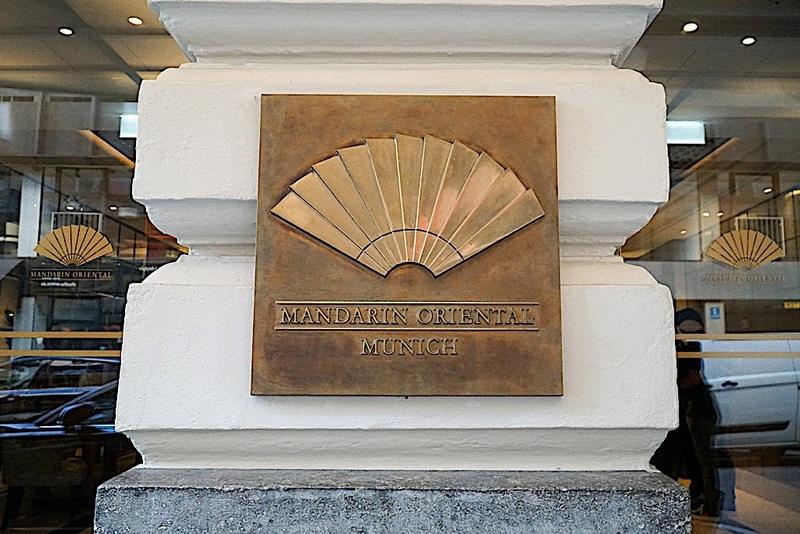 The Mandarin Oriental, Munich is a five star, boutique hotel located within the luxurious Maximilianstrasse (think Rodeo Drive, Beverly Hills) as well as walking distance to many tourist attractions. 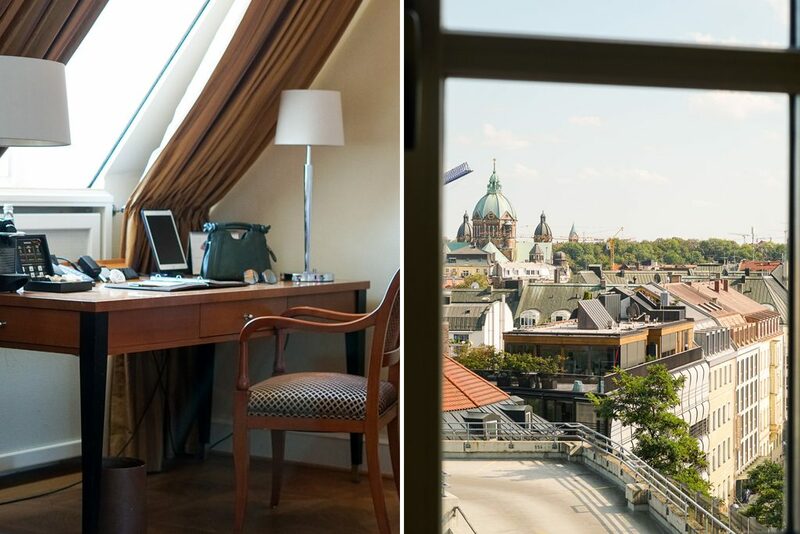 It is the first and only hotel in Germany to receive the prestigious recognition of a Forbes Five-Star rating and based on our experience here, I can see why. Immediately upon arrival, the bellmen embraced us with a bright smile and swiftly took us to check in. My mouth fell open as I entered the lobby where high ceilings and rich, earthy tones welcomed me. Friendly faces at the front desk greeted us with cool tea to replenish our bodies and warm cloths to wipe away the stress of traveling. The children were ecstatic as a goodie basket filled with toys was brought forth. They spent a few minutes pondering their treat of choice while our check-in was taking place. Needless to say the warm welcome with added gifts was truly unexpected, thoughtful, and appreciated. We arrived a few hours before the official check-in time and was pleased to see that our rooms would be ready shortly. 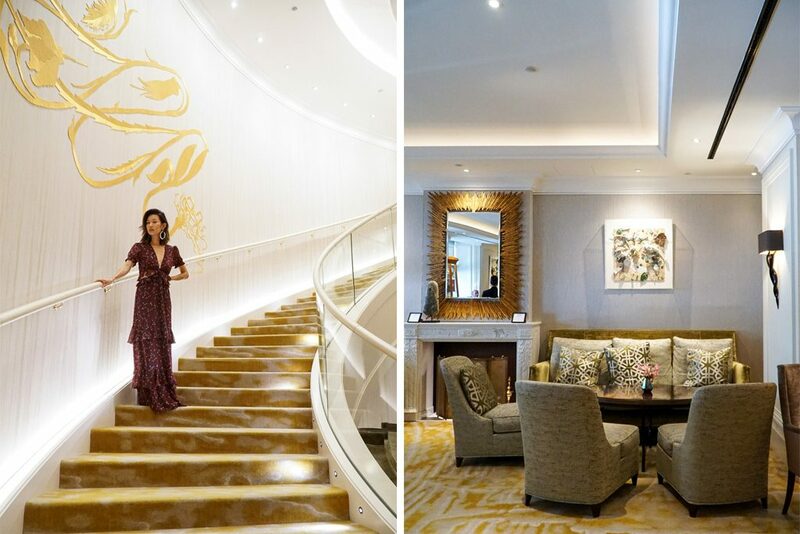 I browsed the stunning lobby while we waited, taking in the magnificent staircase as well as the intimate, luxurious seating in the lobby area. Coffee, teas, and pastries were plentiful for guests coming through, and a fabulous, Jimmy Choo tea service was getting underway amongst the two toasty fireplaces and intimate lounge seating. I couldn’t help thinking that this was the perfect spot to unwind after a day of sightseeing or to relax after work. I learned that before Mandarin Oriental opened, the previous space served as the city’s opera house and ballroom. 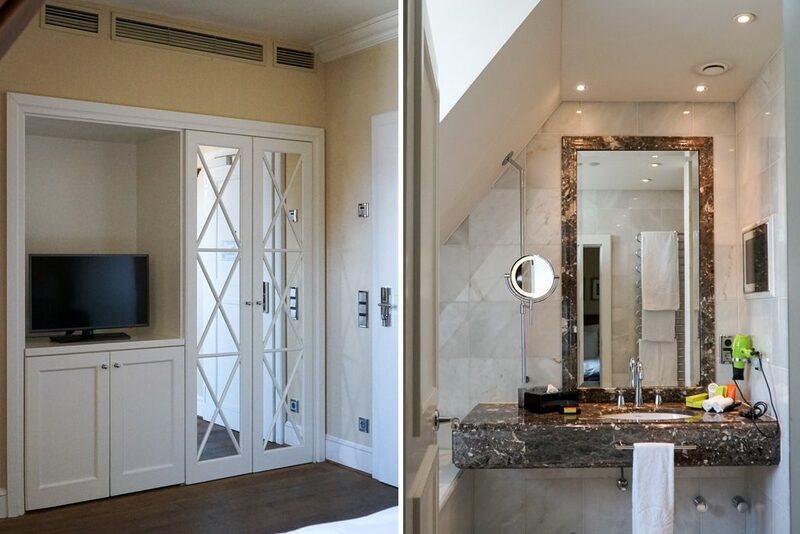 Because of this fact, each of the 48 guest rooms and 25 suites at the Mandarin Oriental Munich are very unique and different from one another. 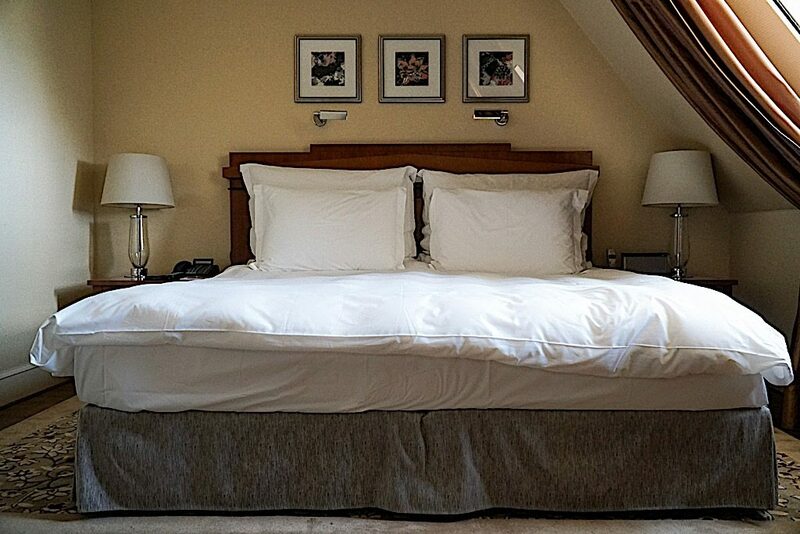 As a family of five, we occupied two rooms, the first room being a Superior Room with one king bed and the second room being a Deluxe Room with king bed and an extra roll away bed. Both rooms were surprisingly spacious, with charming, sloping eaves and city views, elegant seating area with desk, beautiful neo-beidermeier style cabinets with plenty of closet space (and a yoga mat for morning stretches as well), parquet floors with thick, comfy Oriental rugs, and fully stocked, complimentary minibar. We definitely took advantage of the delicious Haribo gummy bears, coffees, bottled water, and even beers that were restocked everyday. In addition, fresh fruit was presented daily in each room. The rooms are generous, elegant, and comfortable with subtle Asian influences, and most importantly sound proof. We didn’t hear anyone and hopefully no one heard our kids as they squealed with delight over gummy bears, milk and cookies, and playing with their new toys. This is hospitality we could get used to! 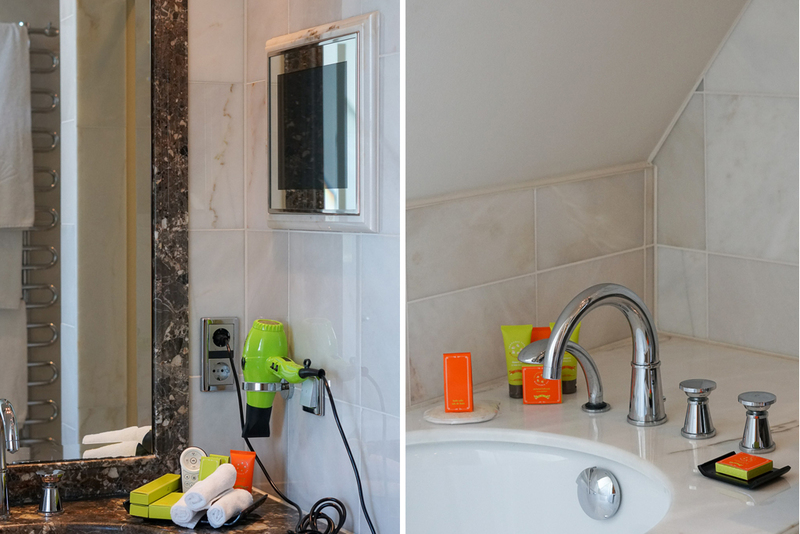 Both rooms have large bathrooms with marble countertops, modern fixtures, separate bathtub and walk-in showers. 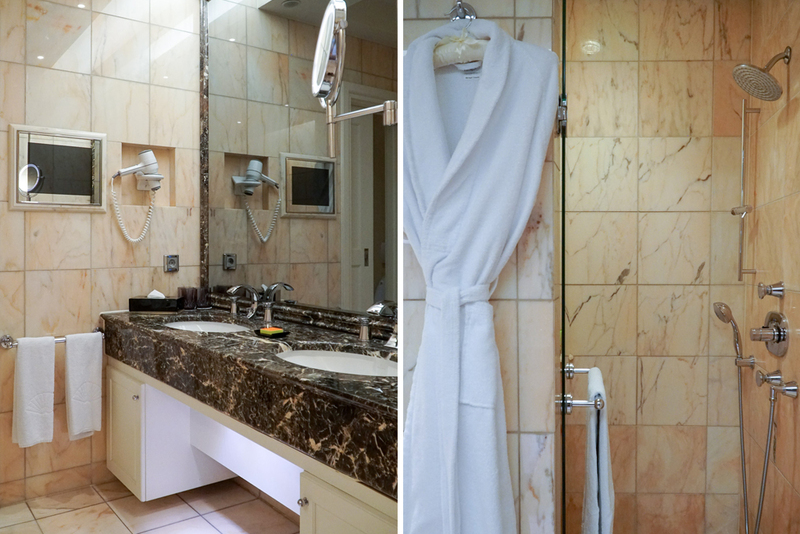 The bathrooms felt spa-like with delicious smelling amenities, thick, comfortable robes and slippers, underfloor heating, and full toiletries such as toothbrushes and toothpastes, shaving cream and razors, and even a TV. We really appreciated the toothpastes as we ran low on the ones we bought for our travels and it was that added convenience of having them provided rather than us having to go out and purchase more that made all the difference. Another major convenience was the included breakfast buffet with our stay. 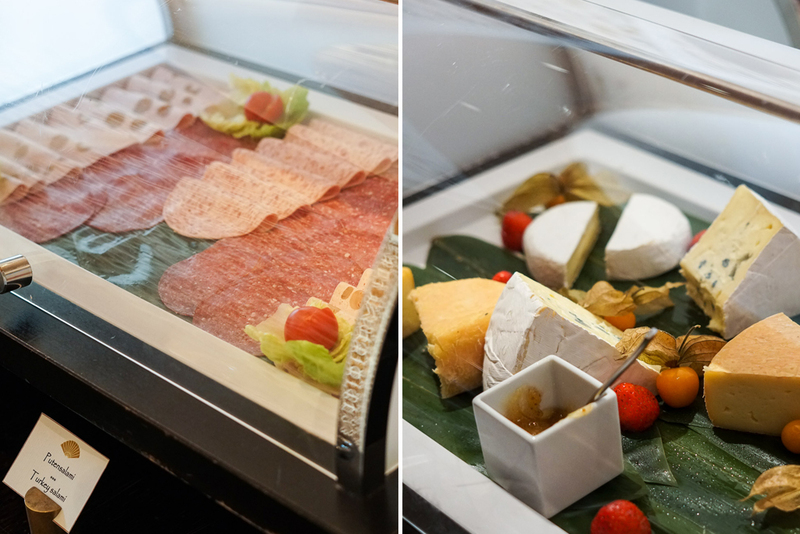 Every morning we looked forward to entering the elegant restaurant where Matsuhisa is located for lunch and dinner, and feasting on Bavarian sausages, breads, fresh, exotic fruits, pastries, daily smoothies, wheat beer, and beautiful charcuterie meats. 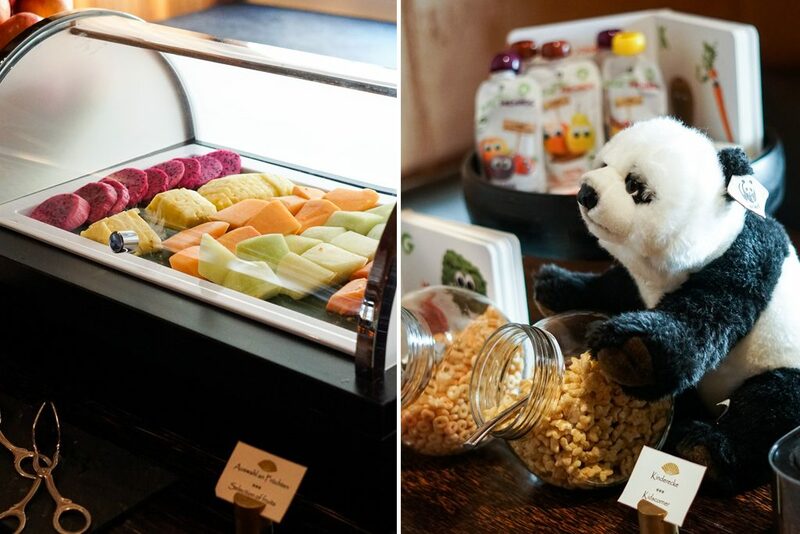 There were even kid-friendly options available such as a variety of cereals, yogurts, and fruit pouches. And for those that prefer heartier meals, you can order of the menu where we enjoyed oatmeal and scrambled eggs as well. 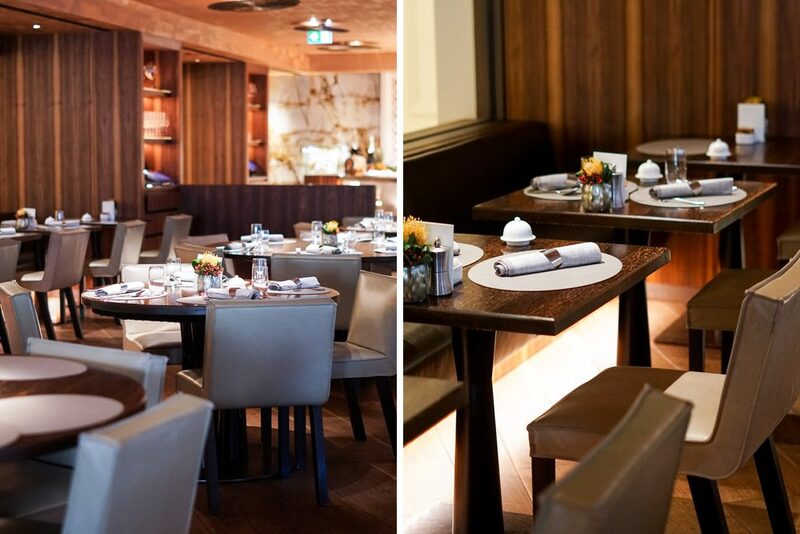 The restaurant itself is breathtaking with the warm interiors of woods, leather and stone. Every breakfast station offered an exquisite presentation and was refilled often. It was a great start to our mornings and especially convenient with the kids. 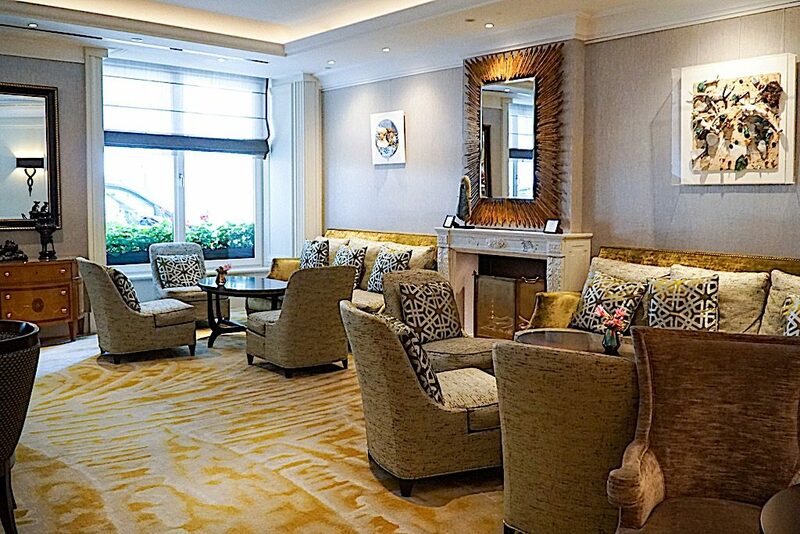 Other than the excellent service, smiles, and helpful tourist directions that Mandarin Oriental Munich offered, the next best thing is their location. 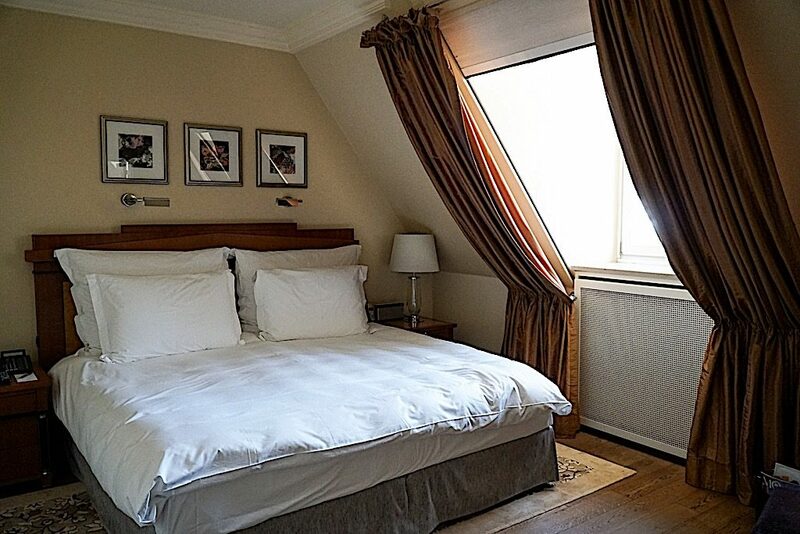 The Mandarin Oriental is located walking distance to major tourist destinations such as The Residenz Muenchen, Marienplatz, English Garden, State Opera, and the subway. 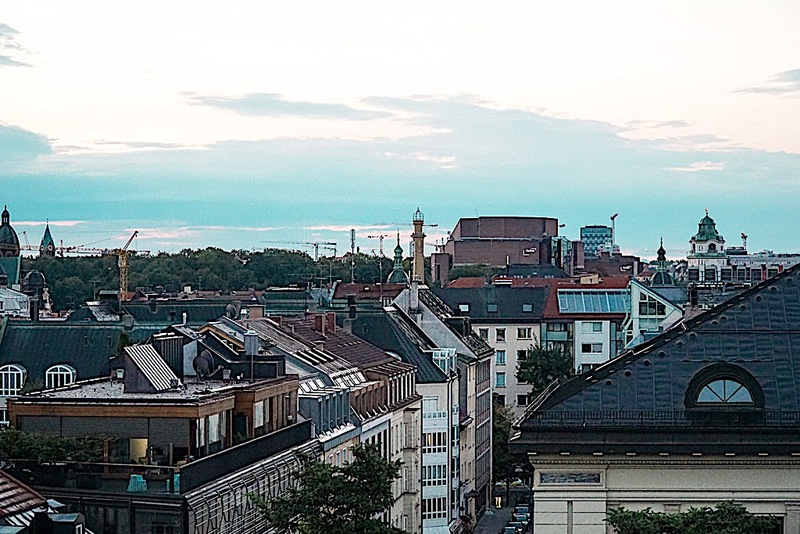 In addition it is within one block of the best luxury shopping in Munich, Maximilianstrasse, where you can shop to your hearts content at famed boutiques such as Van Cleef & Arpels, Chanel, Gucci, and many more. And of course don’t forget the famous Hofbrauhaus for the most authentic German beer house experience which is right behind the hotel! After a full day of sightseeing, it was so enjoyable coming back to the Mandarin Oriental to relax and unwind in comfort. 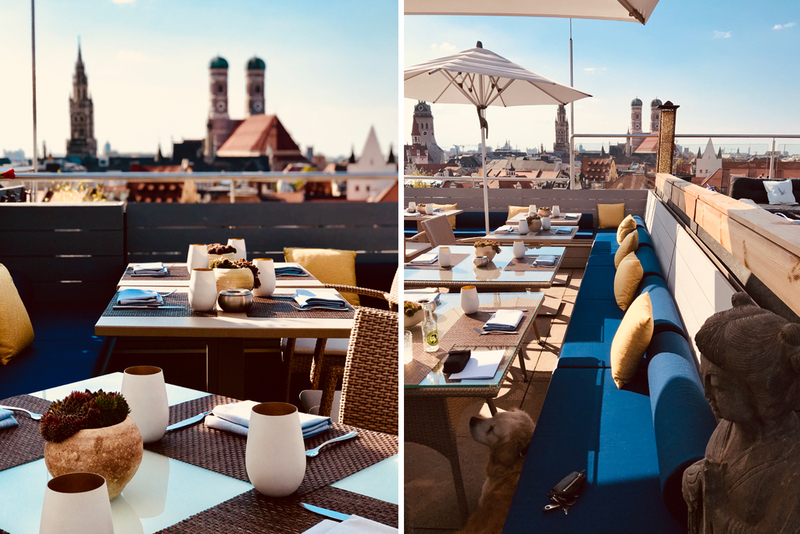 One of the nights we were able to unwind upstairs in the magnificent rooftop lounge, The Terrace (opened from May to September), which is the only rooftop bar that has 360 degree views of Munich and the Alps. The drinks there were delicious as they were pretty and the sunset between the iconic twin domes of the Munich cathedral was breathtaking. Spending time out here was definitely one of the highlights of our stay and made up for the fact that their pool is under construction. Yes, currently the pool is closed and their much anticipated Bar 31 will be opening shortly. 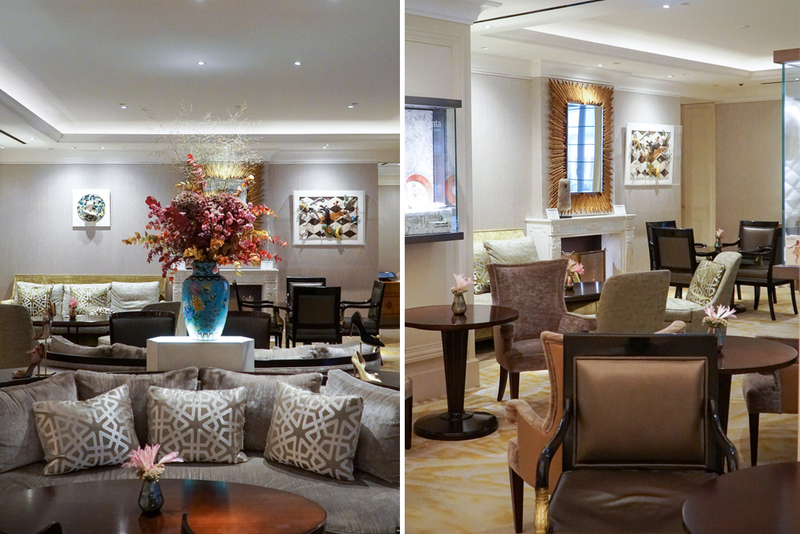 While still a beautiful work in progress, the Mandarin Oriental Munich exceeded our expectations tenfold. 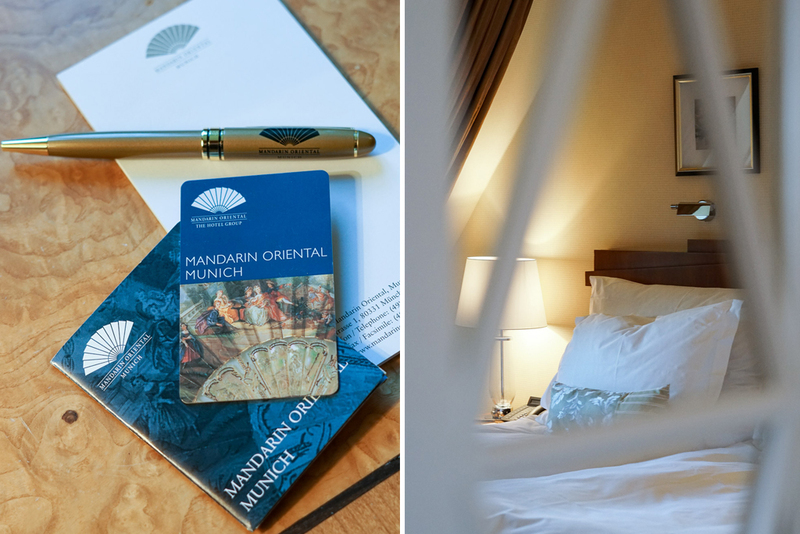 From the top notch service to the many added conveniences that enhanced our stay, Mandarin Oriental Munich is certainly a gem with sophisticated charm and a blend of Bavarian elegance and Oriental influence. 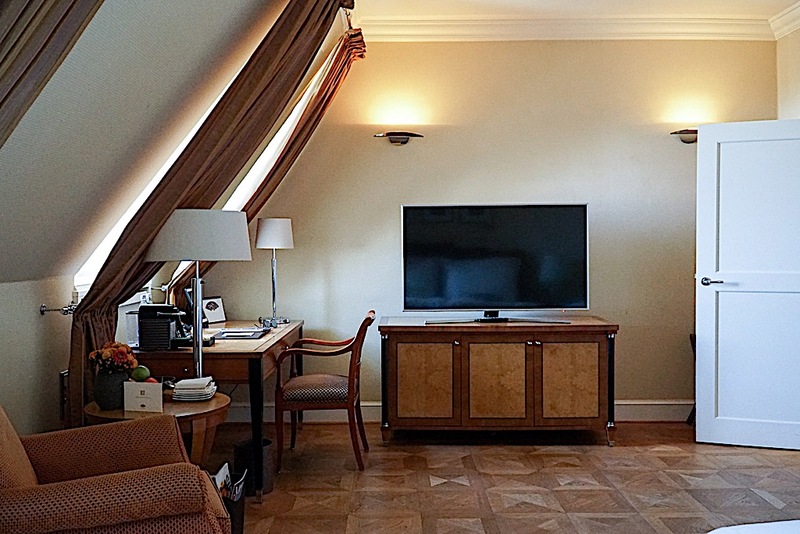 We created lasting memories here for our family and highly recommend anyone visiting Munich to enjoy comfort, personalized service, kid-friendly details, and true elegance at the Mandarin Oriental Munich. 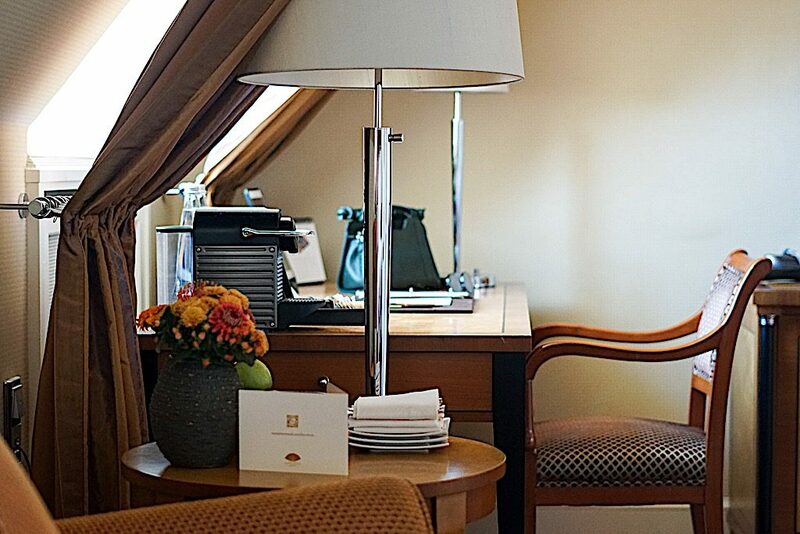 Thank you to the Mandarin Oriental Munich for making family travel still a luxury! Wow this hotel is sooo beautiful! 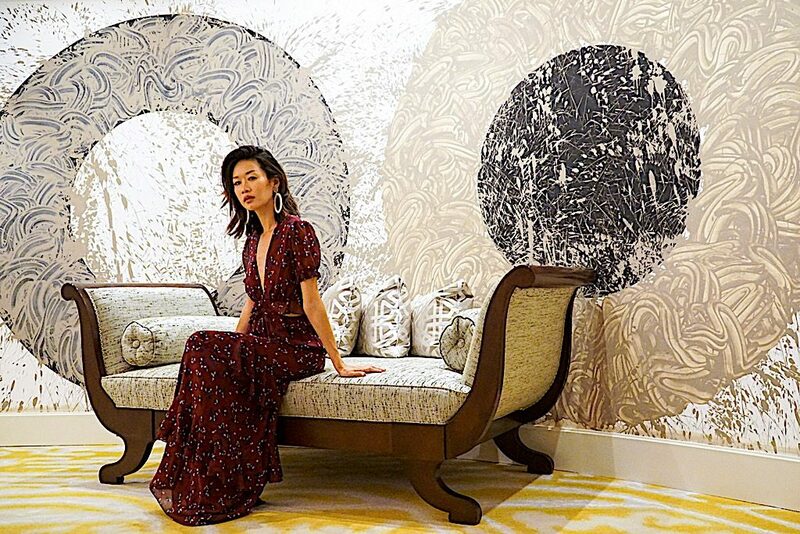 <3 🙂 I've always been a fan of Mandarin Oriental, and I love how classy, elegant, and refined their hotels are! Looking fabulous as always, Christine! Beautiful pictures, beautiful place.This place is simply a dream. I am such a fan of Mandarin Oriental hotels and this one looks amazing. I like that this one is more boutique like and also that the rooms are all different. The breakfast looks so delicious and the fact that they also have a Matsuhisa there is incredible. The rooftop views are the best and I would love to see the sunset from here. 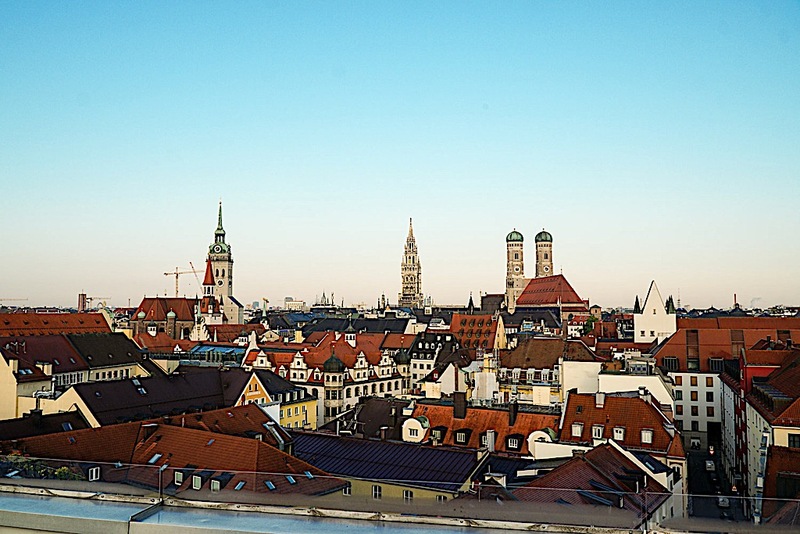 Thanks for sharing and I will be visiting Munich and definitely looking into the hotel when I go! Wow the Mandarin Oriental hotel looks amazing. I’ve never stayed with them before but seeing these pictures makes me want to book a vacation and stay at one of their luxury hotels! 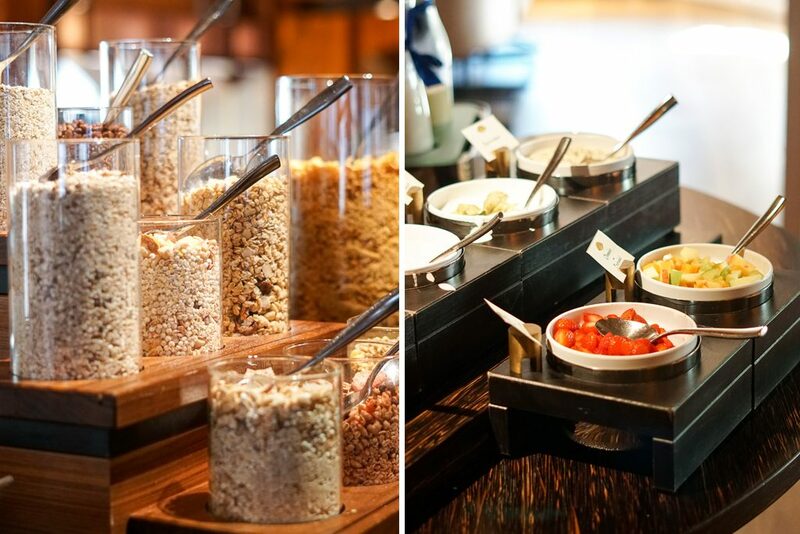 I love beautiful hotels and good breakfast buffets. This looks like it was top notch. I haven traveled to Europe yet but plan to in the near future. Will definitely try and get hubby to take me to Munich and stay here. Thanks for sharing! You’re so lucky you got to experience this! 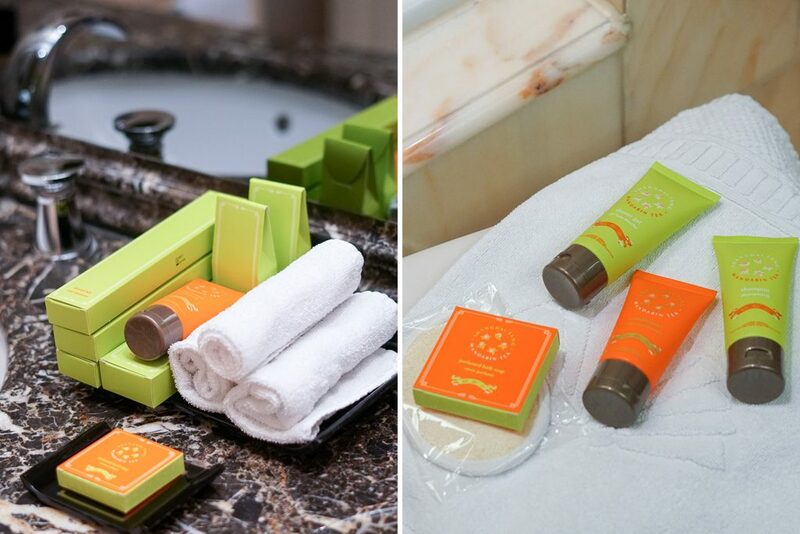 I used to worked at some of luxuries hotel chains in China and I always have a sharp eye for the smallest details that a luxury hotel could offer to its guest. 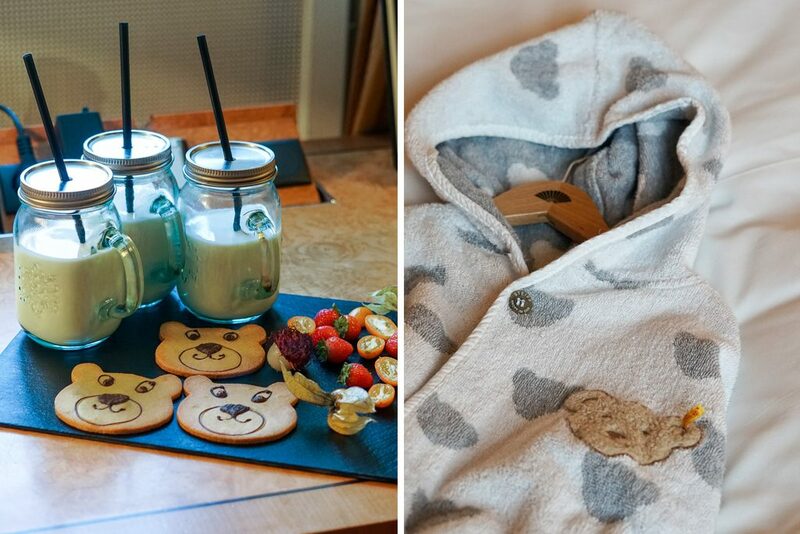 The kids size robes and slippers and the happy bear cookies from Mandarin Oriental Munich are just a example of how they treat their guests in amazing hospitality details. Not to mention that the stunning and luxurious interior. The view at the rooftop is so breathtaking to wind down after a long day. Love it more with the excellent location. 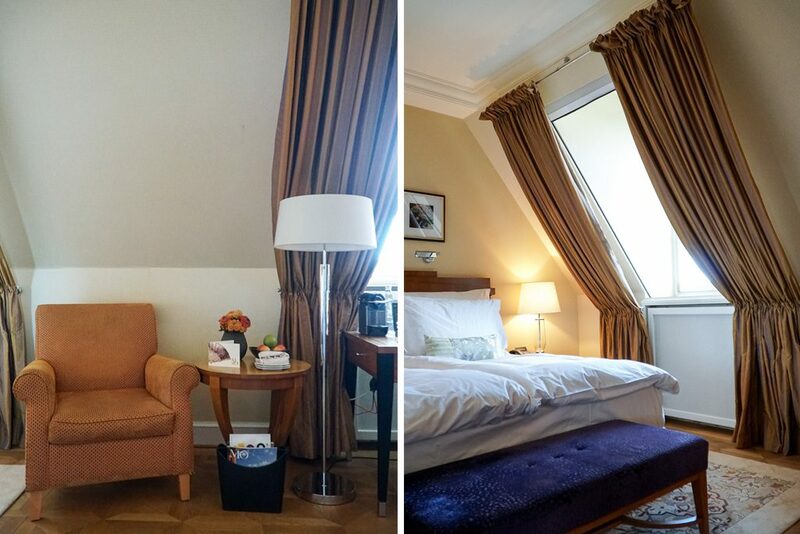 Thanks for sharing another beautiful hotel for my next trip to Munich. I love the Mandarin Hotel chain! That food spread looks amazing. Love the panda! This is a beautiful hotel! I like the classic and elegant design of it. I don’t know why but bathrooms are so important for me. That’s the first thing a check when I stay at a Hotel and this one is beautiful. I love the sink and the shower. Btw the rooftop is breathtaking, the best part of the hotel for sure. Wow, what a lovely hotel! 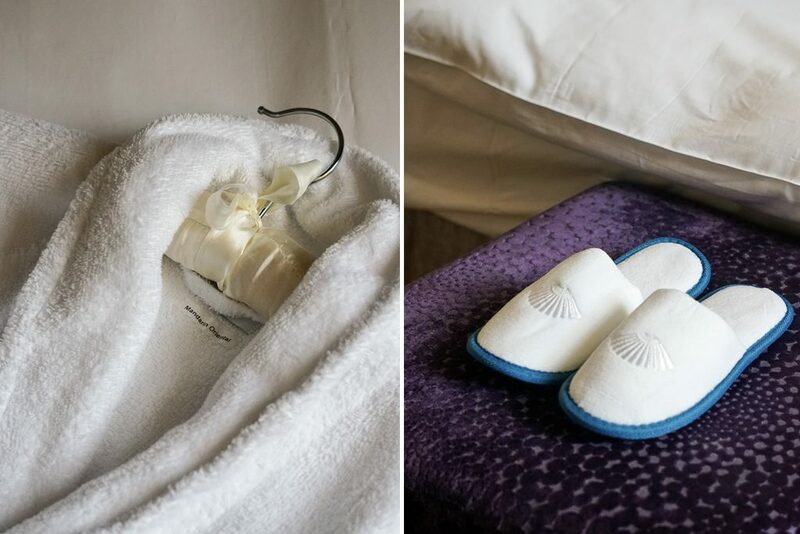 The mandarin oriental Munich looks absolutely beautiful 🙂 I loved that they included milk and cookies and kid sized robes! That feature must have been so great for your family. I’d love to stay here the next time I visit Germany! It all is so amazing…. 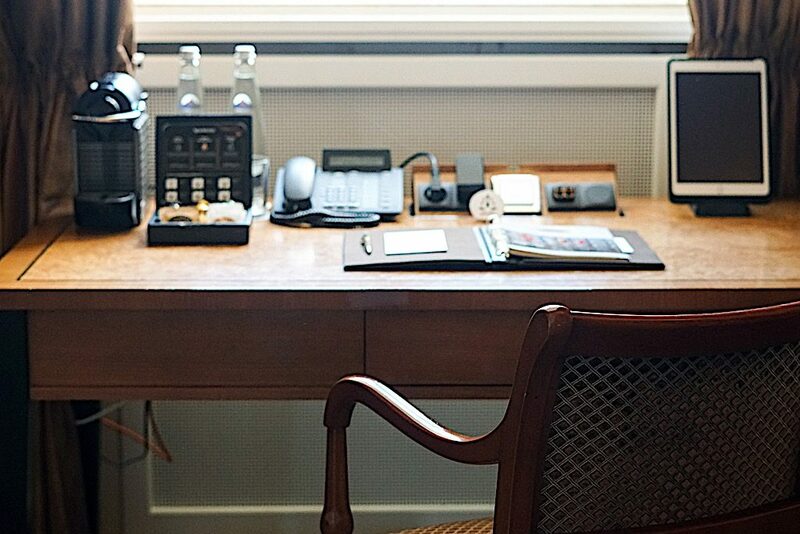 the hotel rooms, the view, the spacious desk area. Perfect! I’m german but I have never been to munich before. the hotel looks amazing and like the perfect place to stay at. WOW! The Mandarin Oriental in Munich is stunning! No wonder it was rated 5 stars by Forbes! I love the high ceilings and the staircases! 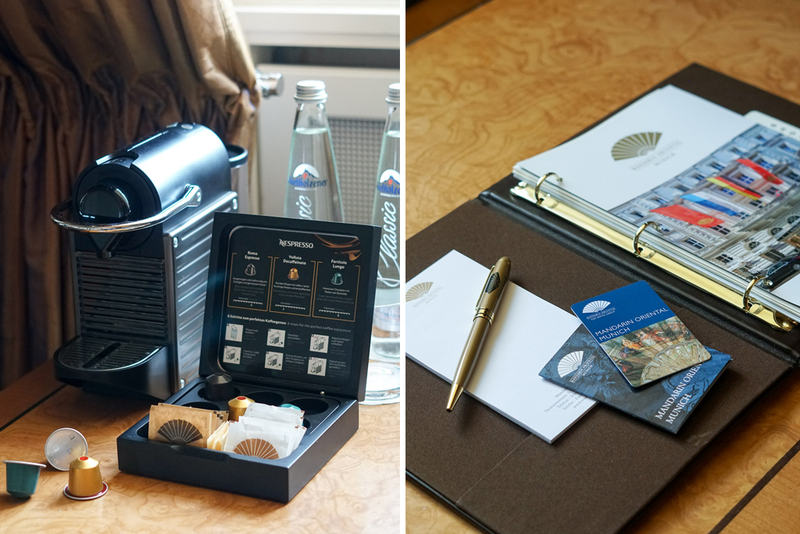 A hotel that values hospitality and making everyone comfortable is my kind of hotel! I love that you were welcomed with gift baskets for the kids! 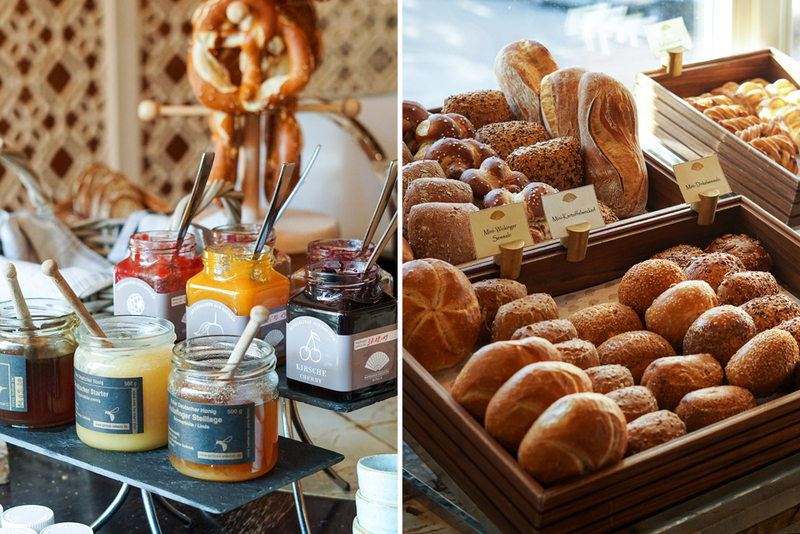 A complimentary breakfast buffet and being centrally located is icing on the cake! Will def stay at the Mandarin Oriental when I visit Munich! What a gorgeous hotel. Amazing pictures. Loved your red dress. Such an elegant place. Food looks great, and you look amazing dear! That dress is stunning on you. This hotel looks incredible, I love all the modern decor and the color scheme of not only the lobby but the rooms as well, I will definitely add this to my list of places to visit, thanks for sharing! Beautiful pictures. This place looks great. Oh my what a GORGEOUS hotel!! If I ever get to Munich I will have to check this out. Whaat a stunner. And love your photos too. I have been to Munich but quite a while ago. Would love to get there again one day. 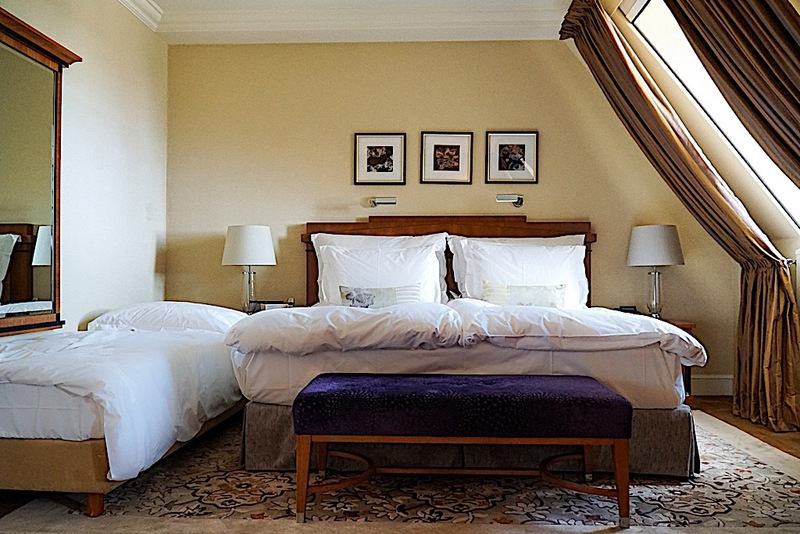 I love a clean and chic hotel like the Mandarin Oriental. And with the amazing terrace seating with the gorgeous view – couldn’t ask for more than that! That hotel looks amazing. I love that it’s not huge with too many rooms. The bathroom is absolutely gorgeous! The view from the terrace is pretty. What a great place to stay, and you look absolutely beautiful in that dress!